2019 Overnight Camp Registration is now open! Every morning begins with Flagpole Devo. The whole Camp meets to start the day with a prayer, song and scripture. This shows our campers that from sun up till sun down, we are praising God! One hour each morning, the Group Leader leads his group in a Bible lesson. We pray that God will grant our Group Leaders and campers a special time to learn about Him. Three times a day, each group will have the chance to rest, hang out and enjoy snacks together at the Canteen. Canteen provides a break during all the daily activities. Campers have the option of many snacks, healthy options are available. Once each day campers and Staff will go to our Crafts Hall. From birdhouses, wooden snakes, and lanyards, there are a lot of fun things happening at crafts. Everyone enjoys cooling off in our camp pool twice a day, once for an hour in the afternoon as well as a 15-minute “Quick Dip” in the evening. Once a week each cabin takes an hour-long ride on horseback. 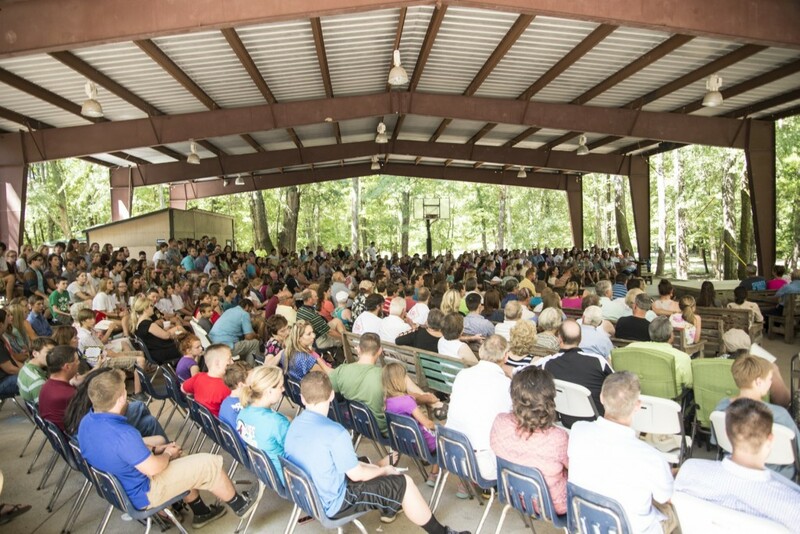 The campers see God in His creation as they ride through the piney woods of East Texas. Each day at Camp has its own theme. During this hour and a half, each group will play games or participate in activities that reflect the theme of the day. Scroll down for more information about daily themes. During Cabin Bible, each cabin has a 30-minute lesson led by their Counselor. Campers often open up and share from their hearts in this smaller group setting. Each cabin has an hour and a half to enjoy activities together. Many times the cabins go on hikes or play games with other cabins. This is also the time cabins are scheduled to ride horses or enjoy the swing. Our swing is a great thrill ride! Hoche and Nashamie campers will have the opportunity to conquer the swing once each week during their session. When hoisted to the highest point a camper will be about 42 feet up in the air. This is a great team building activity for each cabin. After all the activities and fun, everyone in Camp stops and spends time alone with God for 15 minutes. Before dinner, the entire Camp comes together to sing praises to God. Many campers and Staff list this as their favorite time at Camp. Night Games are played beneath the ball field lights each night before Night Devo. Each group plays simple games together at the close of each day. Each day ends with Night Devo led by the Group Leader on one of our ball fields. After a long day of fun, this is an awesome time of worship. 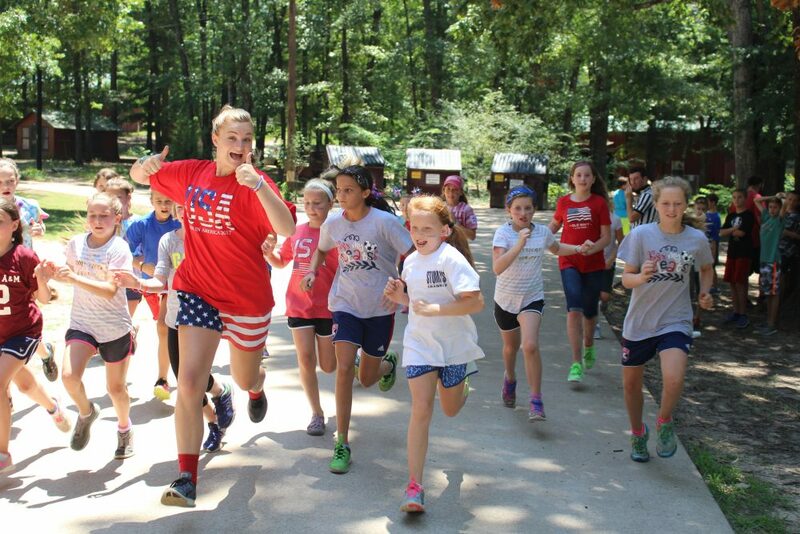 Bum bum ba dum dum dum dum… I can hear Killi Olympic Day beginning as the Group Leaders sing the campers the tradional Olympic song at Flag Devo. This is an exciting day because it is the first full day of the session! Campers will attend their first Group Bible, they will go to Crafts for the first time, they’ll begin making friendships and having all kinds of adventures. During Group Activity the campers will compete in all kinds of fun and crazy Olympic events. What you could bring: No costumes are necessary for this day, you just need to be ready to run, play and make lots of new friends. 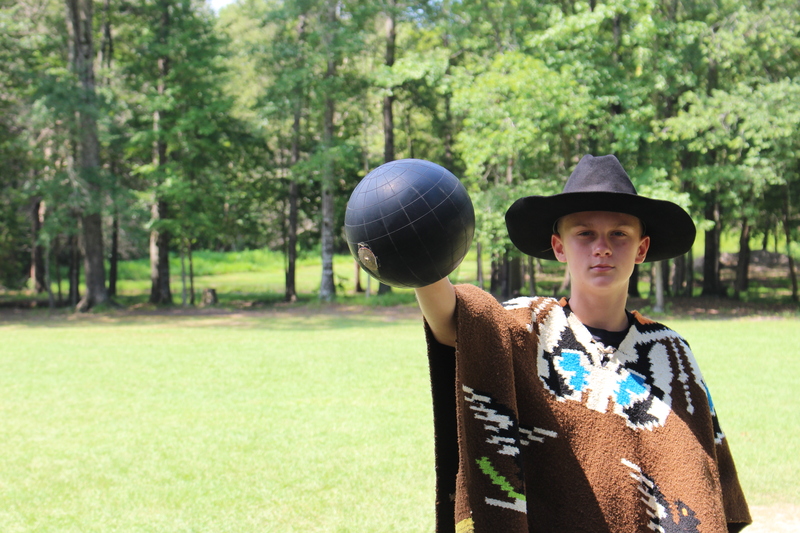 Get ready to relive the Alamo, hunt some critters, and wrangle your counselors, it’s Cowboy Day! Yee Haw!!! 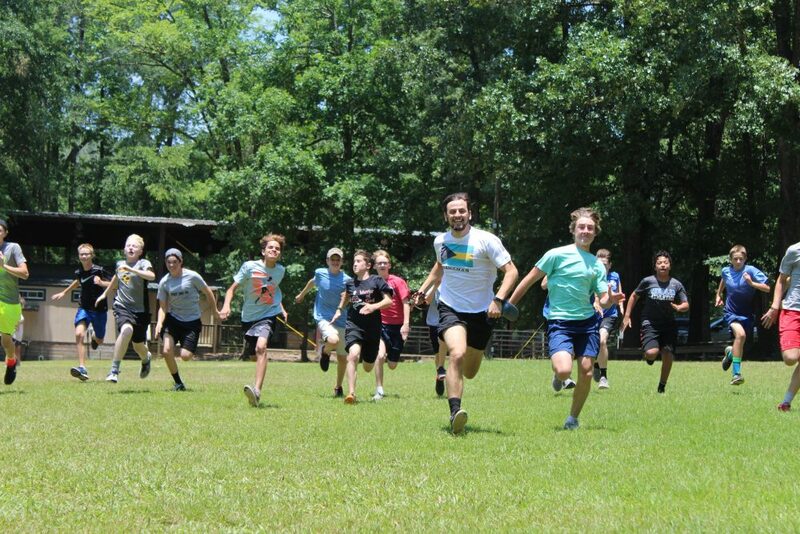 During Group Activity campers will enjoy exciting Cowboy games, like the Gunfight at the O.K. Corral, defending the Alamo, or a good old-fashioned Horseshoe Tournament. 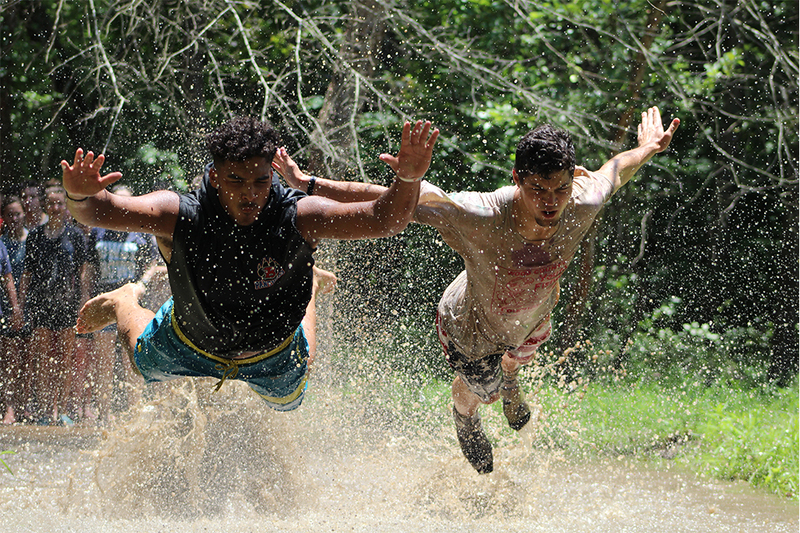 Campers will round up their counselors and take them to Killi Creek for some belly flops and creek wrastlin! What you could bring: Anything western goes with this day. A pearl snap shirt, a Cowboy hat, and Cowboy Boots are all great. Just make sure you bring something to wear in the creek! Put on your camo!!! 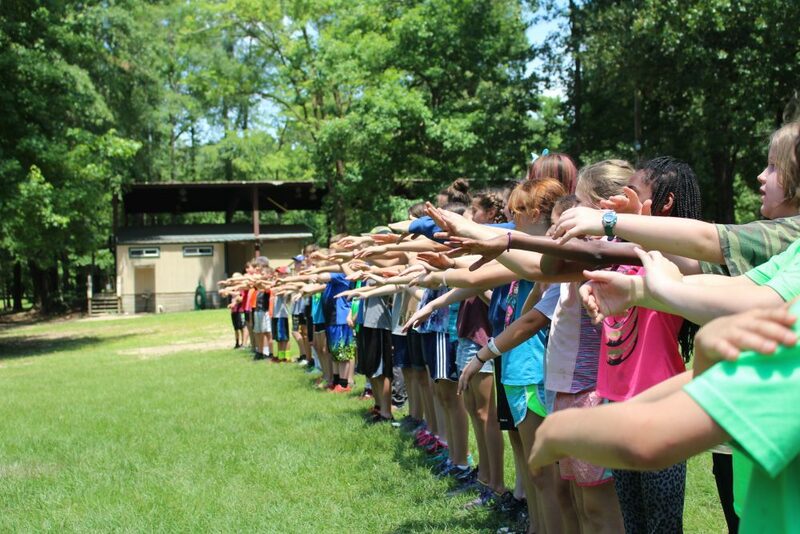 Ask our campers what their favorite day at CDR is and many will say without hesitation, Capture The Flag Day! 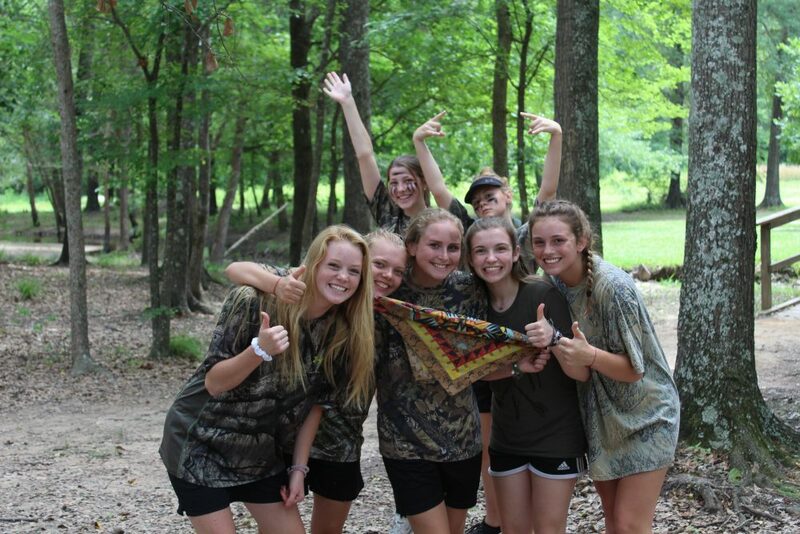 There is just something about sneaking through the woods, trying to go undetected as you make a run for the other teams flag, that can’t be beat. During Group Activity the campers square off in an epic game of Capture the Flag. When the game finally ends you can just sit at Canteen with the kids and listen to the amazing adventures unfold as the campers relive their favorite moments of the game. What you could bring: Camouflage, camouflage, camouflage! A long pair of pants is also not a bad idea. You may want some protection for your legs as you walk through the woods. 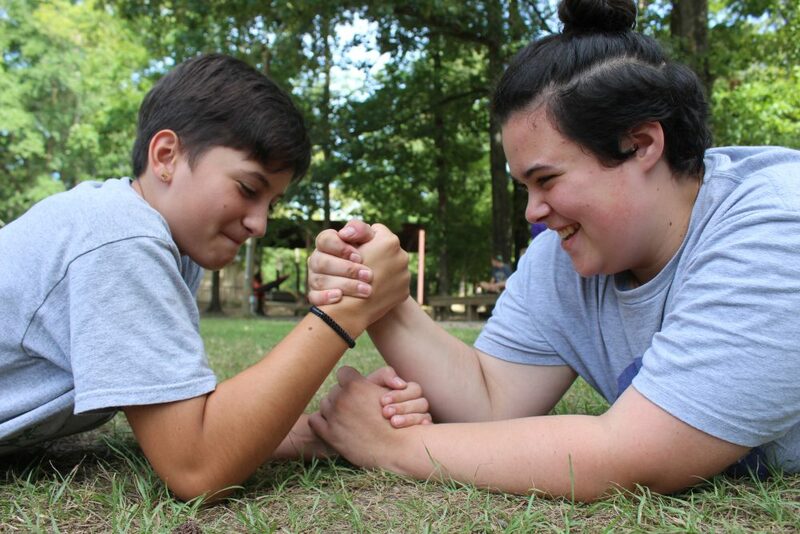 Arm-wrestling, leg-wrestling, the rock chunk – everybody loves Indian Day! Sadly it is the last full day of the session. Even so, there is still a lot of fun left. During Group Activity the campers compete in events and activities of strength, endurance, and cunning up until the climactic moment…when the group leader arrives. One of the most fun and exciting moments for all the campers is chasing the chief (or whatever character the Group Leader may be playing). The campers get to chase their Group Leader into the woods, discover where he is hiding and dunk him into the cool waters of Killi Creek. What you could bring: This might be a good time for another pair of clothes you don’t mind getting wet. Bum bum ba dum bum bum bum… I can hear Killi Olympic Day beginning as the Group Leaders sing the campers the traditional Olympic song at Flagpole Devo. This is an exciting day because it is the first full day of the session! Campers will attend their first Group Bible, they will go to Crafts for the first time, they’ll begin making friendships and having all kinds of adventures. During Group Activity the campers will compete in all kinds of fun and crazy Olympic events. What you could bring: No costumes are necessary for this day, you just need to be ready to run, play and make lots of new friends. 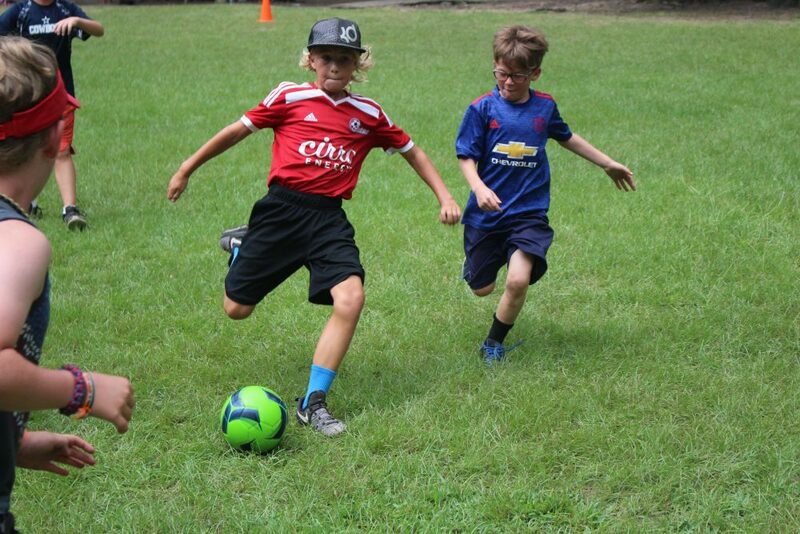 On this day campers enjoy playing soccer or ultimate frizbee during Group Activity. Often the games are played with slight twist to make it a little more interesting. What you could bring: Basically any type of sports jersey would be a great costume for this day. Soccer jerseys seem to be what most everyone chooses. Outcamping is an incredible bonding experience that is a staple of our Two Week Sessions. Leaving the already rustic campgrounds behind and hiking into the woods, campers are sure to return with tons of stories and memories after an unforgettable time of growth and fun. Depending on the age group campers stay at Outcamping for one or two nights. Cooking over a campfire, exploring your new surroundings, and continually building relationships with new friends and our Heavenly Father make Outcamping an unforgettable few days. What you could bring: Bring clothes that you don’t mind getting dirty, some jeans to protect from thorns and bugs, and a sleeping bag or hammock to sleep in! By late Saturday morning all the groups of campers have returned from Outcamping. This means its now time to shower up and rest a little while before getting back into the swing of things. As the day begins to progress everyone begins to prepare for Killi Kapers! Each cabin develops a short skit or act to perform in front of the whole camp that evening. This too can be a bonding experience that really brings a cabin together. What you could bring: Any type of costume you could think of would probably be something funny for a skit. Parents and visitors are welcome to join us for our Middle Sunday Worship service and Bible classes. After Worship service concludes we have a fun day ahead and visitors are welcome to stay! For $5 you can get a great meal here at Camp, then enjoy watching the Camper/Staff Football & Volleyball games. Shhh…no need to yell. This day is all about keeping it mellow. 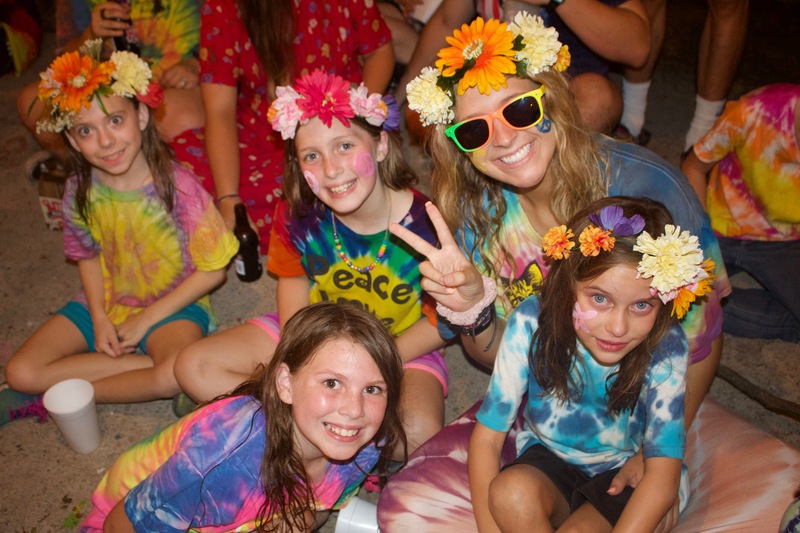 A day for art, music, and peace, campers may spend the day doing anything from yoga to writing songs with their cabin. The day culminates with a music festival at night canteen before Mellow Night, our camp-wide talent show. What you could bring: Tie die, flower crowns, bell bottoms, leisure suits, and any other hippy flower power you can find. Surfs Up! Everybody loves Hawaiian Day! 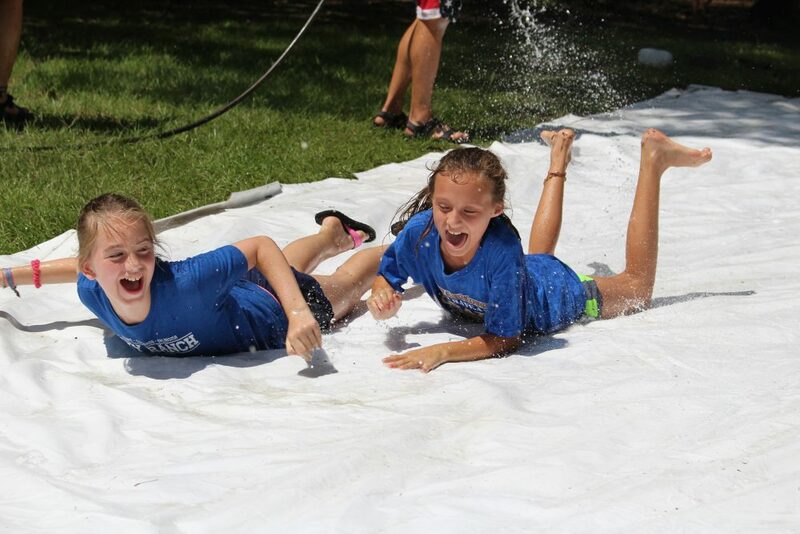 Sand castles, water games, and of course the giant slip n slide are all a part of the fun. After a great day, the campers go on their second cookout of the session. Campers have plenty of time to just hang out around the campfire while they cook hot dogs. After the cookout, the campers head to Night Canteen, a.k.a. The Hawaiian Day Luau! During the Luau campers enjoy hanging out, eating fruit, and competing in the Limbo. What you could bring: Hawaiian patterned shirts or shorts make for a perfect Hawaiian Day costume. Grass skirts and straw hats are great too. This is a day of lots of water activities so you will need some to have some clothes you don’t mind getting wet. Put on your camo!!! 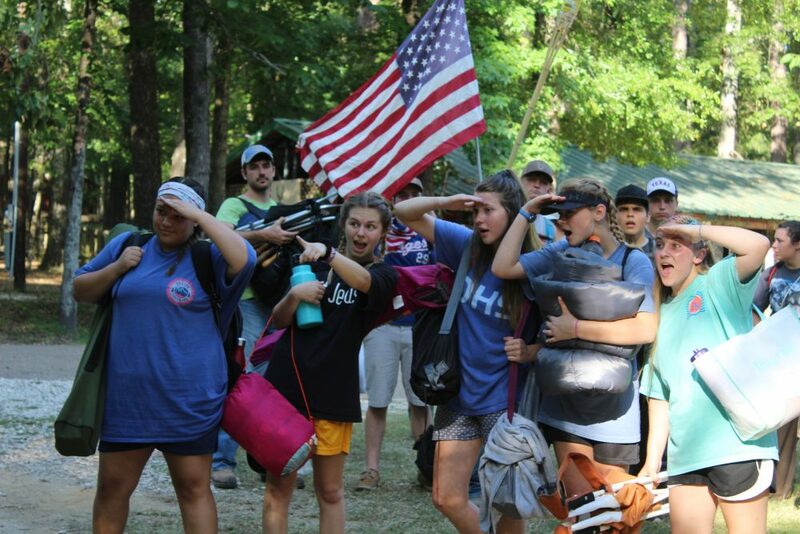 Ask many of our campers what their favorite day at CDR is and many will say without hesitation, Capture The Flag Day! Beginning on registration Sunday and continuing till the day arrives many of our young boy campers will ask several time, when is Capture The Flag Day? There is just something about sneaking through the woods, trying to go undetected as you make a run for the other teams flag, the kids just love it. During Group Activity the campers square off in an epic game of Capture the Flag. When the game finally ends you can just sit at Canteen with the kids and listen to the amazing adventures unfold as the campers relive their favorite moments of the game. What you could bring: Camouflage, camouflage, camouflage! A long pair of pants is also not a bad idea. You may want some protection for you legs as you walk through the woods. 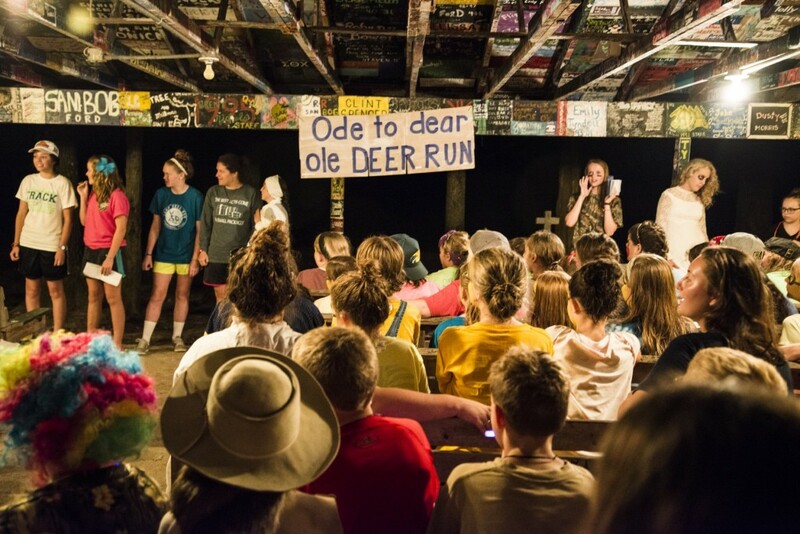 Each summer Camp Deer Run offers six Overnight Camp sessions (three one-week sessions and three two-week sessions). Overnight Camp sessions are for campers ages 9 to 17. Camp Deer Run also provides eight Pee Wee Camp sessions. Pee Wee Camp sessions are for ages 5-8. Registration for all Overnight sessions will open January 13 at 2 pm. Registration for PeeWee sessions will open January 21 at 9 am.